I’m sitting in second period with the fourth grade class at Paradise, the English medium private school my children from Hopeful Home attend. There is chaos, the children are running around from classroom to classroom, and some have even left to go play in the courtyard. I ask one of the girls where their teacher is, and she replies, ” I don’t know, Australia I think.” Wait, your teacher is in another country? How long will she be gone? “Oh, for the rest of the year probably. I don’t know.” And that’s not the worst of it. Though the children still have a month of school before their exams, the three girls in class four told me the other night that they are now down four teachers, meaning they only attend half of their daily classes. This is a private school, and at fifteen to twenty dollars a month, an expensive investment for many of the families who hope to give their children a better future. It is hard then to imagine what the government schools, notorious for being much worst, are like. Though their class has worst luck than the others, it is the very sad reality to this school. None of the children seem to be fond of this new private school either, they all know about the corruption that goes on behind the scenes. For instance, my children are suppose to have a bus to school, something they paid for upfront with their tuition. Of course, the bus hasn’t showed up in over four months, meaning that though the children paid for it, they now have a forty minute walk to school and back everyday. Though our schools in the USA are far from perfect, seeing schools here makes me appreciate what we have. One of the things that shocked me most upon arrival at this school was how young the teachers were. I commented to one of the students that their teacher looked younger than me, which in fact she was. At only nineteen, she is a fully qualified teacher because the qualification needed is simply finishing grade twelve. Crazy right? I also visited another private English medium school which seemed to be in better condition regarding teachers, though the class sizes were twice as large. Both schools were kindergarten until tenth, which is typical here. After tenth grades students who choose to continue their education do two years of college (which for us is the last two years of high school) before they can think about university. Something I enjoyed seeing at that school was the Nepali dance courses, which every student is required to attend twice a week in order to learn traditional dances. No wonder they can all dance so well! Though the rules were more relaxed in some ways (such as teachers not showing up), there were also stricter aspects as well. 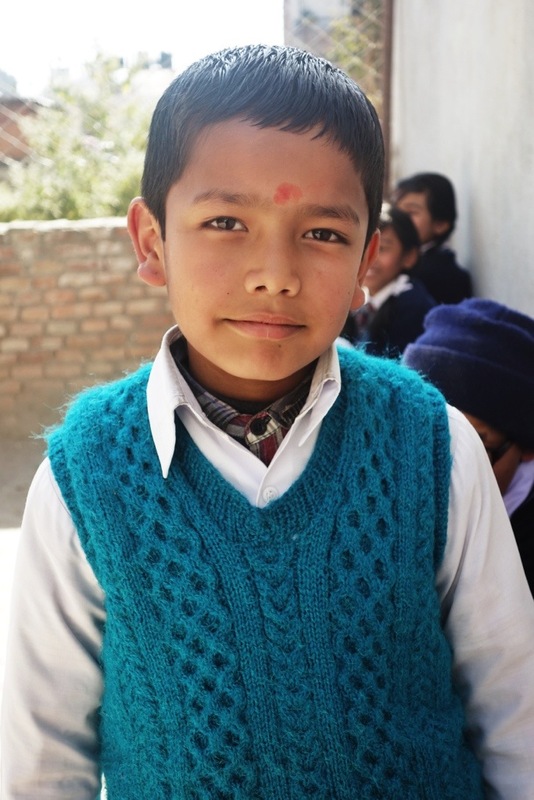 The children all wore uniforms, as do all school children in Nepal, and they stand up to greet their teacher once they enter, something I also did in Belgium when I attended high school there. Unfortunately they still beat children at school, even for small mistakes on homework. The use of physical punishment is something I can in no way comprehend, but that it is a topic for another time. 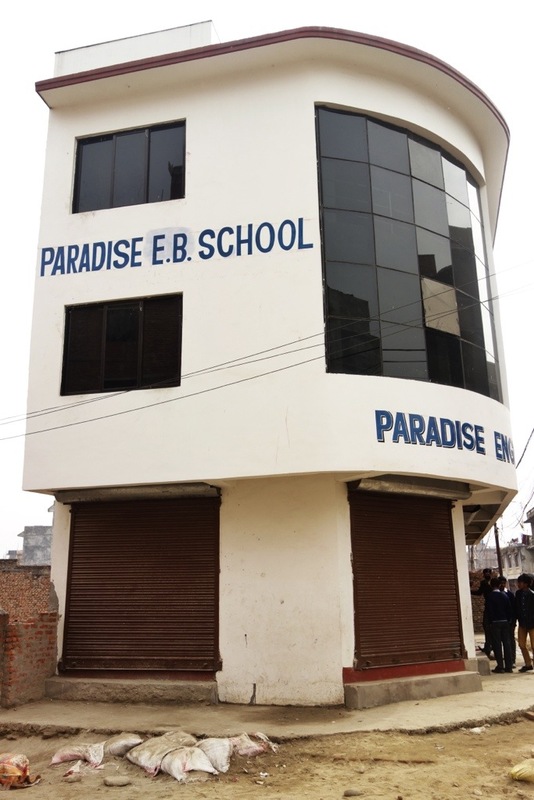 This entry was posted in Nepal and tagged English medium school Nepal, Nepali school, paradise school Nepal, private school Nepal, school Asia, school Nepal by The Wandering Nomads. Bookmark the permalink.